The gentle giants that bring us comfort and companionship, there are few other dogs more lovable than great Danes. Finding the best dog food for great Danes is a struggle though. All 100, and sometimes even 200, pounds of love need a lot of nutrition that isn’t available in most dog foods. They’re a unique blend of energy, size, and medical needs making it difficult to get them everything they need. But, through research, inspecting the ingredients lists, and scouring nutrition labels here are the top five dog food options for great Danes. Each delivers some aspect of their needs and hopefully one hits on every need for a great nutritional value! Their size is the most evident and it’s clear they need a lot of protein to keep them moving. However, they’re also low exercise. It’s not common knowledge but great Danes are rather fragile. This is the second factor to consider. Because limited exercise is recommended, typically not more than 30 minutes a day, you must watch out for fats and fillers. In other words, everything your giant lap dog eats needs to deliver high-quality nutrition and if it doesn’t it’s time to look for a replacement. Also, consider their slow metabolism and notorious heart issues. These internal trends throughout this breed are early to overlook. In addition to heart and metabolism issues, great Danes are also known for joint issues. From joint deterioration in old age to hip dysplasia great Danes suffer many similar ailments to other hounds. After careful consideration, each of the following could be a great choice for you and your Great Dane. Taking into consideration your own Great Dane’s needs, these all provide some or all the goals we listed above. Blue Buffalo is a brand that’s received a lot of buzzes. But, they’ve turned it around after a lawsuit in early 2017. With new and improved recipes, formulas, and only the promised quality ingredients Blue Buffalo is once again on top! Blue Buffalo’s Freedom for Large Breed formula works well for many Great Danes after 18 months. Although Blue Buffalo is a little high on the fat content (1% higher than preferred) this is an overall great formula. It’s well-rounded and took into consideration all the ailments that big dogs experience through adulthood. 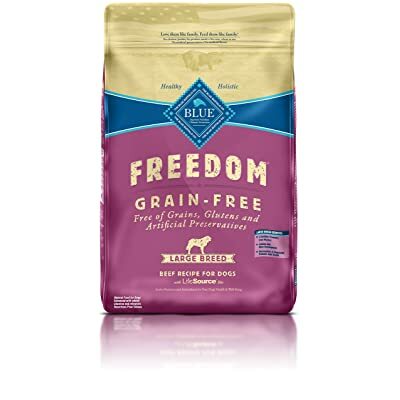 The biggest complaint with Blue Buffalo’s Freedom for Large Breed dog food is digestive issues. Many pet parents find that the beef-heavy diet is hard on their furry friend’s stomach. This is expected with the beef formula. If after introducing the new food gradually into your pet’s diet and there are still issues, give the lamb recipe a try. Transitioning your pet child to any new dog food can be a struggle. Keep in mind that new food should be introduced slowly over a few week’s time. Other than the gastric distress noted by some pet parents, there are no recent complaints on this formula. This is definitely an option worth considering for you and your Great Dane. 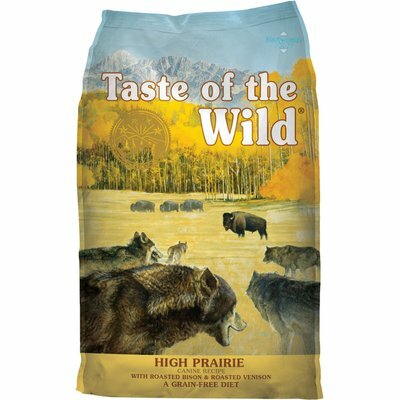 Taste of the Wild has made a distinct name for themselves among the premium dog food brands. They deliver single sourced, high-quality proteins, with no-nonsense fat sources. Taste of the Wild has so many features to love. But, most of all in the High Prairie Bison and Venison variety is the lack of an allergen. Too often formulas add chicken, chicken meal or chicken byproduct to fill in the protein section of their recipes. Instead, Taste of the Wild forgoes the cheap filler techniques and uses peas and sweet potatoes. Providing tons of nutrients in every bite simply by avoiding wheat, soy, corn, or cheap chicken. 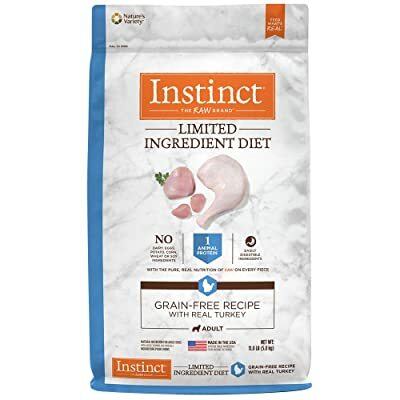 The price is a little steep when you consider this 30-pound bag is not going to last very long when feeding a nearly 200-pound dog. Great Dane parents know that their pups are among the largest breeds in the world. As wonderful as it would be if the price weren’t a factor to consider, it is. Many pet parents want to give their furry friends the best, but this price is out of range for some. The price is high, but also worth it if you can budget for it. Taste of the Wild is a good brand that is worth consideration. Be careful with this recipe though as it is very high in protein and fat which can lead to some weight gain or excess energy. Nature’s Variety gives a nutritious recipe with basically two ingredients. They aim to cater towards any canine with a sensitive stomach. Because Great Dane’s are especially susceptible to bloat and digestive issues this recipe has found its way onto this list. In addition to the special care, they’ve taken to ensure the recipe is easy on your dog’s stomach they’ve also coated it with a green tea extract. The trick with coating anything in green tea extract is that it’s more appealing to dogs. A lot of dogs will turn their noses at anything that doesn’t smell like what they want to eat. That’s right, they can be just as picky as we are. The addition of the extract ropes in picky eaters without too much of a fight. This formula is heavy in the protein and fat content. Where we typically wanted to see about 22% protein and 13% fat this recipe has 29% protein and 18% fat. Although Great Danes aren’t usually prone to obesity and are known for their very slim figure a protein and fat content this I could change that. In addition to the Obesity concern is the energy issue that great Danes have. They have too much pent-up energy and overexert themselves they’re fragile joints and bones are at risk of damage. The other downside is that for the two ingredients you’re getting it’s expensive. Unlike formulas that have additional nutrients and vitamins this recipe relies on two ingredients to do everything. This is difficult to swing for any premium dog food brand. If you know your Great Dane suffers from digestion problems this could be a potential solution. Always consult with your veterinarian first, but usually, they recommend switching to allergen-free, simple, recipes. Not sure if allergies are the problem? This is still a great option if you’re looking for something gluten-free to try. 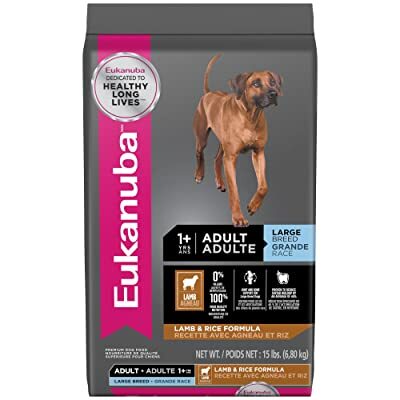 Eukanuba Large Breed has the perfect balance of protein, fat, and fiber that we were looking for in our value section. With 22.5% protein, 12% fat and 5% fiber it blends a variety of ingredients for peak nutritional value. On top of the balance of protein, they deliver with extras like glucosamine for healthy joint and hip support. These listed ingredients are all in the top ten ingredients and aside from the barley are all common dog allergies. Great Danes aren’t particularly well known for having allergies, but it’s not unheard of. This has too many grains and allergens to be the top choice, however, the recipe is very well balanced. If you know your pup doesn’t have issues with allergies or stomach sensitives, it’s a great option. Overall, there are many pet owners that would make Eukanuba their top choice. Earthborn’s dedication to doing overall good shines through. Its ingredients list stands out from many other options in dog food with fruit and veggies that are roasted and responsibly sourced. Plus, it has cranberries and blueberries for an even blend of antioxidants. Finally, the fish base of the Coastal Catch variety is a foundation for a healthy amount of Omega-3 and Omega-6s. These omega fatty acids are the go-to for healthy skin and coat care. The only downside is that because of the high density of protein and the options of fruits over filler make this recipe higher in protein and fats than what is recommended for Great Danes. In other words, unless your Great Dane is particularly energetic and still growing this recipe runs the risk of building more energy than is reasonable for Great Danes to exert. Their delicate nature can make it difficult to find a large breed recipe that sets them up for success too. This is a great choice if you’re more worried about heart and joint health over your pup’s weight. Many Great Dane owners don’t have to worry about weight gain too much which is why this option is still on the list! It’s free of many harmful ingredients and a great brand with values many pet owners love to support! Blue Buffalo Freedom for Large Breeds (Beef or Lamb varieties) is the clear winner in this lineup. It delivers on every aspect we were searching for in the value section and continues to deliver. Blue Buffalo stood out from the rest by being completely free of any common dog allergies including chicken. The options of beef or lamb are common, but there is usually a chicken meal in the recipe to fluff up the protein percentage. That isn’t the case here. Instead, it’s high-quality proteins with a ton of antioxidants, and vitamins. There are also little kibbles called LifeSource Bits. These bits carry ingredients like glucosamine to help your furry friend’s joints and taurine for their heart. These options are all great depending on the needs of your Great Dane. 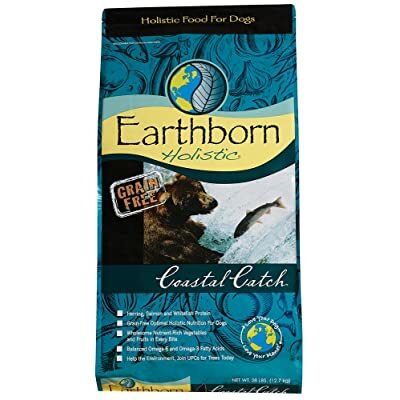 There is no doubt you will find the best dog food for Great Danes that works for your specific needs because all the options listed here are great dog foods. There is currently a class action suit regarding lead contamination of Blue Buffalo dog food and I just read a story regarding a four year-old Great Dane that passed away. The owner believes it is due to lead contamination in the Blue Buffalo dog food recommended here. Hi Andrea, It’s sad to hear the story. Thanks for letting us know that. Please share with us your detail (links, articles..etc) so we can know exactly what happened!